It is one of Singapore’s first purpose-built data centres exceeding Tier 3 standard. 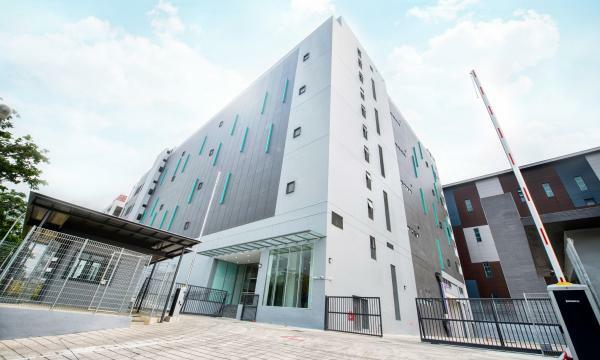 Kingsland Development has launched Kingsland Data Center which bills itself as Singapore’s first completed multi-tier wholesale data facility. Located in Jurong, adjacent to the Singapore Data Center Park, the new data center is focused on providing quality and reliable services to its clients. Kingsland Data Center aligned its vision with the city’s Smart Nation Initiative, and aimed at supporting Singapore’s effort to strengthen its position as Asia’s economic and infocomm hub. According to the data center’s executive director, Shann Sok, the data center is Kingsland’s first foray into high-tech facility building business. She notes that regardless of whether they are building commercial, hospitality or industrial projects, Kingsland’s business approach has always been to understand and address client needs first and foremost. The data center’s first customers include telcos, e-commerce firms and banks. “We approached this project with a view to understand the market from the operator’s perspective, whether it be in data centres or cloud computing or big data or even the Internet of Things. Kingsland Data Center is an extremely complex engineering project, not to mention a mission-critical environment,” said Shann. Kingsland Data Center is primarily an adaptable and secure data storage facility. It has an operations and security infrastructure based on based on the Technology Risk Management (TRM) Guidelines 2013 set out for financial institutions by the Monetary Authority of Singapore, and has already undergone a complete Threat Vulnerability Risk Assessment (TVRA). On making the data center possible, Shann notes that to be able to deliver a quality product in which is tested by many of their partners and clients and their data centre operators in the market has been their biggest challenge. She explained that they had to be able to pool together all the various different sources to invest, design and build a quality enterprise grade-world class standard data centre facility. As Shann stated Kingsland Data Center was built by giving their hearts into it. “There was a lot of blood, sweat and tears; there’s really no other way to say it. The Group, the Data Center team and I dedicated a lot of time and effort into this, and we let the adversities we faced spur us on,” she said. On the other hand, Shann said that building the data centre has been a very humbling journey for all of them as they worked hand in hand with all of teams involved on this project. “We were given a lot of guidance and tips along the way, and we learned a lot. We take pride in saying we really immersed ourselves into the industry in order to learn the best designs and the best processes,” said Shann. Singapore Business Review seeks out for new innovation centres and R&D labaratories in Singapore. Send a message to Lee Anne at research@charltonmediamail.com for possible feature.